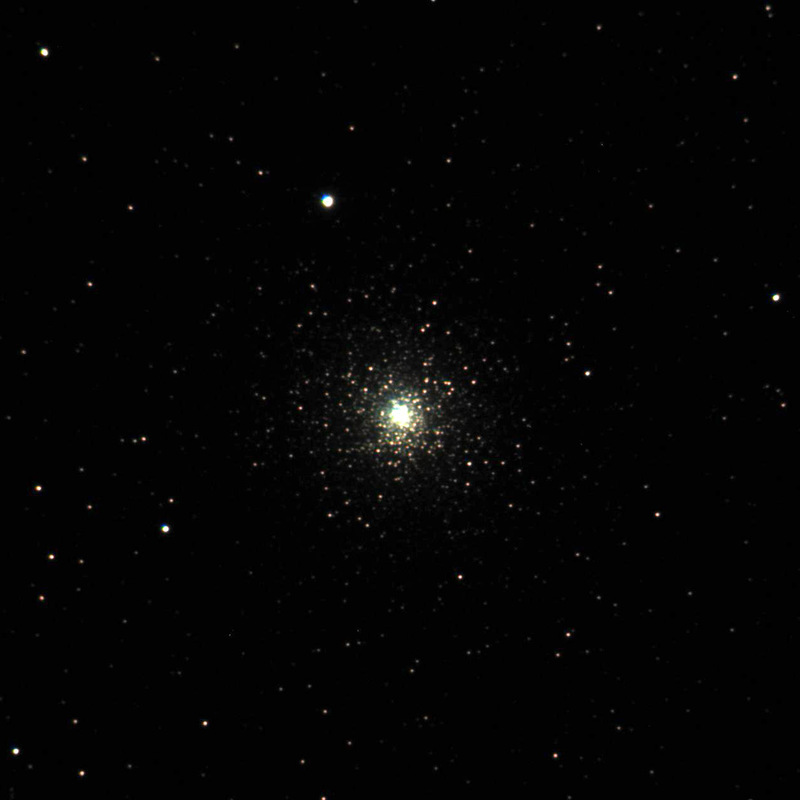 Globular star clusters are ancient star clusters (billions of years old) containing up to hundreds of thousands of stars, found in the “halo” around the center of our galaxy. Most are at least 10,000 light years away, and 50 or more light years in size. Many of the stars that can be identified in these clusters have entered the “red giant” phase near the end of their lifetime. 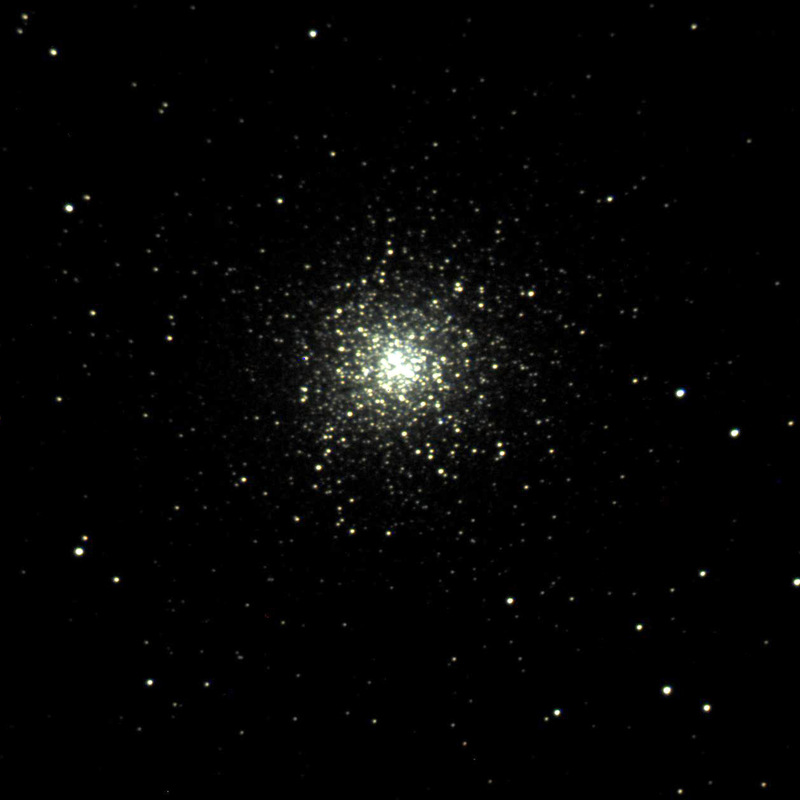 The remaining fainter stars contribute to the milky glow of the cluster. 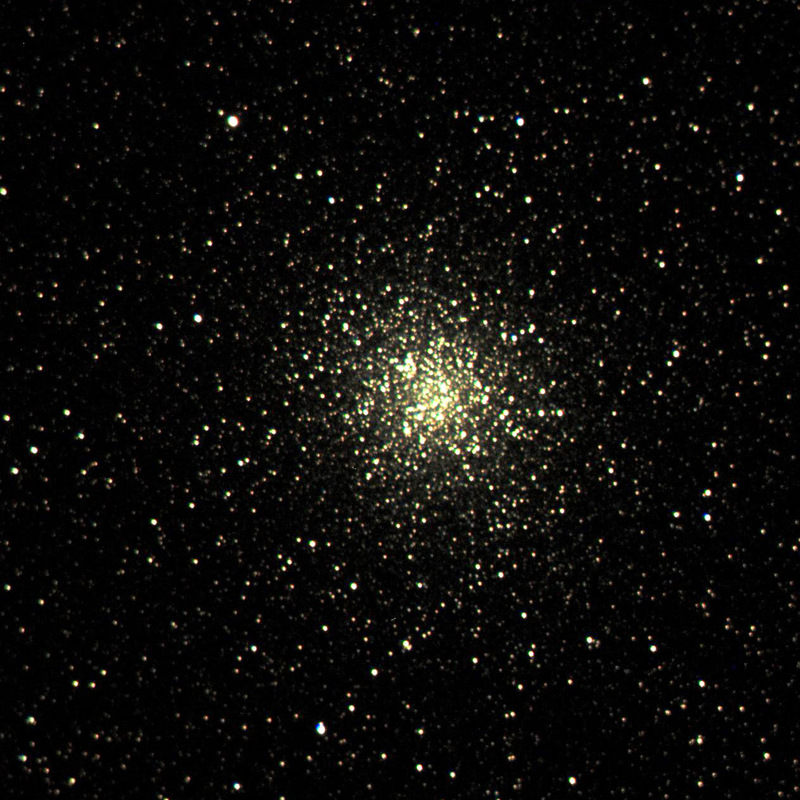 Three large and rich globular star clusters (left to right): M13, M22 and M55. 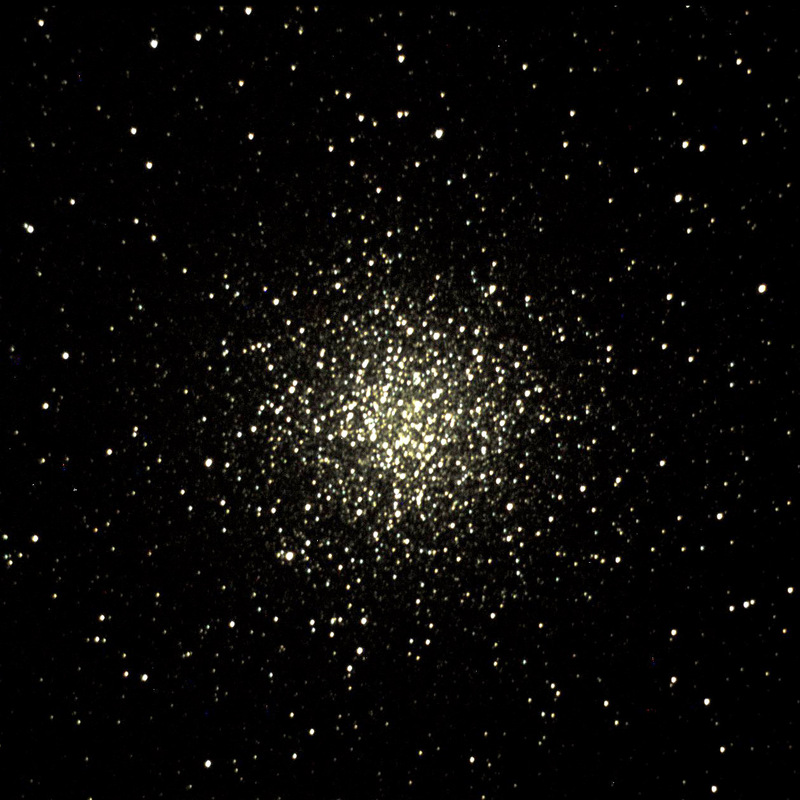 M13, the “Great Cluster in Hercules,” lies at an estimated distance of 25,000 light years, nearly as far away as the center of the Milky Way (but in a different direction). 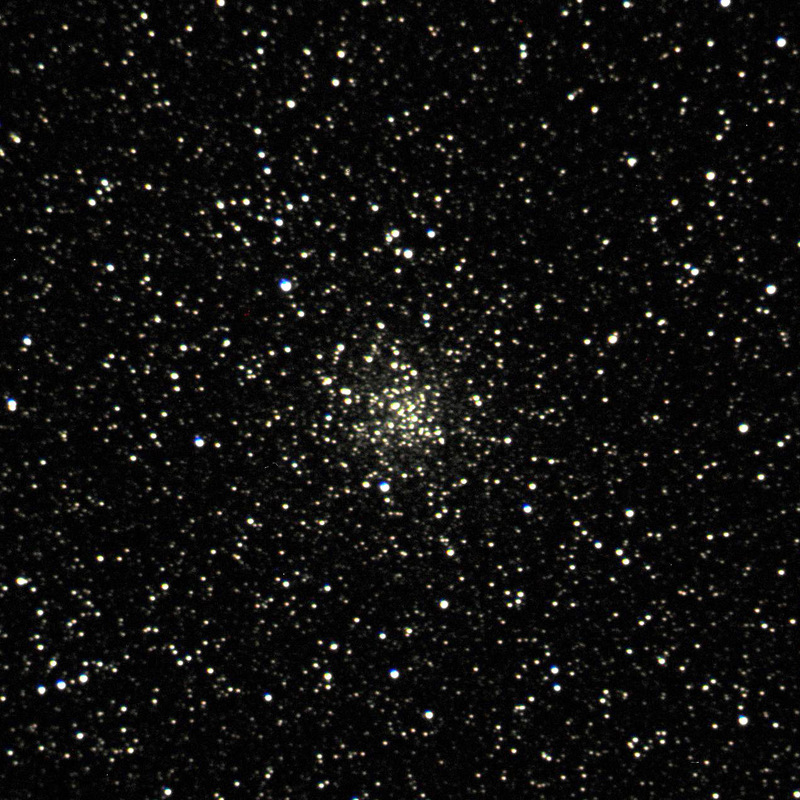 See the “Open Star Clusters” page for an explanation of “M”. 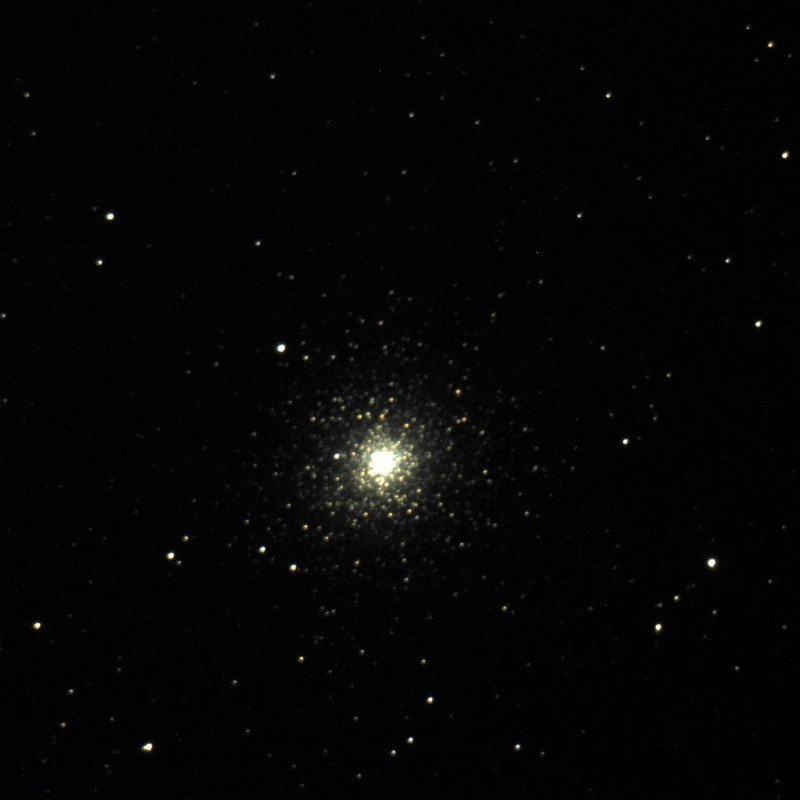 Two more compact globular clusters (M2 and M15) at left and center, and a looser less well-defined cluster (M71) at right.